October | 2012 | Small Farmers. Big Change. Finally, we arrive in Simojovel, passing through an arch that announces, “Simojovel de Allende, La Tierra del Ambar (Land of Amber).” All those rows and rows of jewelry stores that line the streets of San Cristobal with so much amber it practically spills out of the cases; this is where it comes from. Lots of the CIRSA producers have family members who work extracting the amber from the mines. The city has changed considerably since I was last here. Before, you could buy the jewelry from makeshift roadside stands; now newly-constructed amber shops line the streets. Simojovel appears to be modernizing. I drop off my things at the Hotel Cassandra and head immediately over to CIRSA’s office. It feels great to be back and yet this time the only familiar faces I see are Filiberto Mazariegos (CIRSA’s coordinator) and Dona Teresa, the cook. CIRSA holds board elections every two years, and the current board is less than a month old. Usually they rotate the seats so that there’s always an experienced group holding office, but this year they voted in a whole new group. Since the board members come from the communities, many of which are hours away from Simojovel, the seven members live at the CIRSA office Monday through Friday. It’s unclear where these folks sleep since there are no beds set up or extra rooms, but what they might lack in accommodations, they certainly make up for in Dona Teresa’s cooking. Ironically, although San Cristobal is known for having good restaurants, the best meals of my trip were in the CIRSA office. 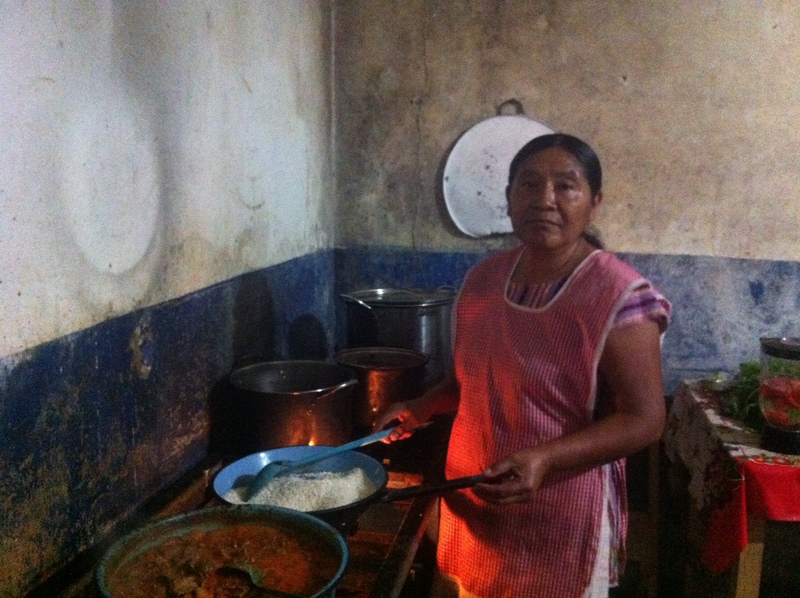 As soon as I arrive, Dona Teresa puts a heaping plate of rice and beans in front of me, with a mound of fresh corn tortillas and a cup of steaming hot CIRSA coffee. “It’s all local,” she smiles, “and organic”. I love that about CIRSA. The board members shyly enter the kitchen, joining us at the table. They’ve been waiting for me to arrive for most of the day. Dona Teresa gives them their afternoon refreshment – plates piled high with cut up chunks of watermelon and cantelope. No kiwis here. 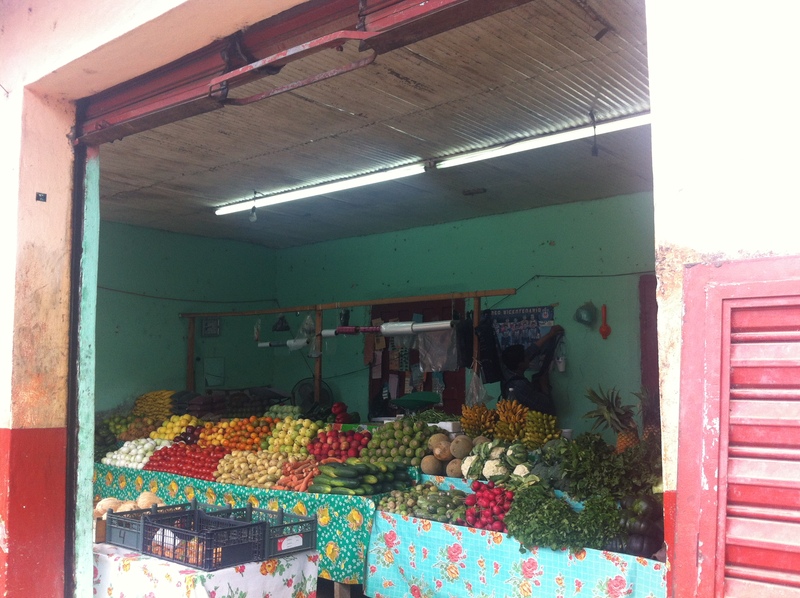 Local, organic food. Farmers markets in the truest sense of the term. Walmarts and mergers and super super-markets. All just another reminder of the issues that link us together. After our meal and conversation about the elections which just happened a few months back in Mexico (and which are still being contested in Simojovel and throughout the state of Chiapas and other states), we head to the second floor, which is really the roof top, to begin planning out my stay. Sitting in chairs under the branches of an enormous mango tree, the sun is going down. I’m distracted occasionally by the noise of flocks of birds flying just over our heads. We discuss the various possibilities and then after awhile it’s decided. 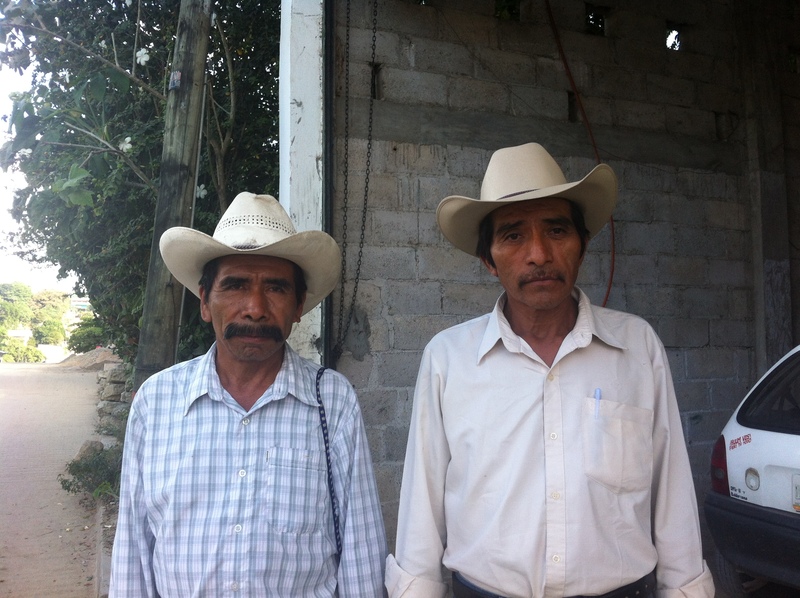 Don Bartolo and Don Andres are two of CIRSA’s founders: tomorrow they will tell me their stories, about the long history of CIRSA and then we will go out in the afternoon and visit farms. For tonight, they want me to tell them about Equal Exchange. Of all the things I tell them about, they are most excited to hear about our program selling coffee and other products to the churches. They nod approvingly as I tell them how the churches serve our coffee, theircoffee, after Sunday mass, and use the occasion to talk about the lives of producers and the social justice issues they face. They’re also pleased to hear that we are most clearly NOT a private business, in this for our own self-interest. We walk in solidarity with them and we too are a co-operative in existence to fulfill a social mission. Yes, they say, any reluctance now diminished, although the stories are painful, they will be happy to share them with me tomorrow. Filiberto and his wife Rosenda, who also works at CIRSA, walk me back to my hotel. Along the way, we stop at Rosenda’s parents so they can pick up their beautiful 3-month old baby, aptly named Ambar. We visit for awhile and then call it an evening. For fourth and final part, click here. I wake up in San Cristobal and arrange to get myself up to Simojovel. It’s a much quicker trip this time in a car than I remember it ever having been in a mini-van filled with EE staffers and food co-op workers. The land is green, the sky thick with clouds, and in the distance, it all looks very grey; I imagine it’s raining ominously in Simojovel. The curvy road is worse than I remember as the driver swerves to avoid the enormous potholes and slams on the brakes every time the pavement disintegrates to sections of nothing but rocks. Occasionally he doesn’t quite miss the pothole and our stomachs receive another jolt. Every now and then we brake for a “cooperacion”. This is when men string a rope across the road where they are supposedly volunteering their efforts to patch up sections of the highway. In order to pass, a donation is “suggested”. When the workers see me in the car, they raise the cooperation from 10 pesos to 30 pesos. The driver grumbles, “everyone is looking for a handout,” he says disapprovingly. “When I was a kid,” he tells me, “we had to walk 2 hours to school and back each day, and no one gave us any help. Young people today don’t know what it means to pull yourself up.” I say nothing. We are listening to Mana, a popular Mexican rock band from Guadalajara, Jalisco, on his cd player. 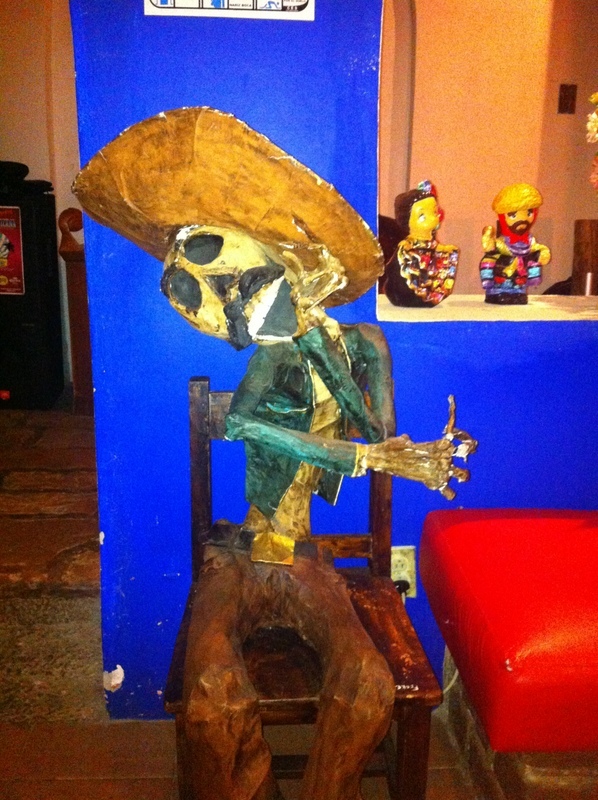 I try not to engage too much with his conservative views and his suggestions that we get together when I’m back in San Cristobal. I focus instead on the scenery outside the window. 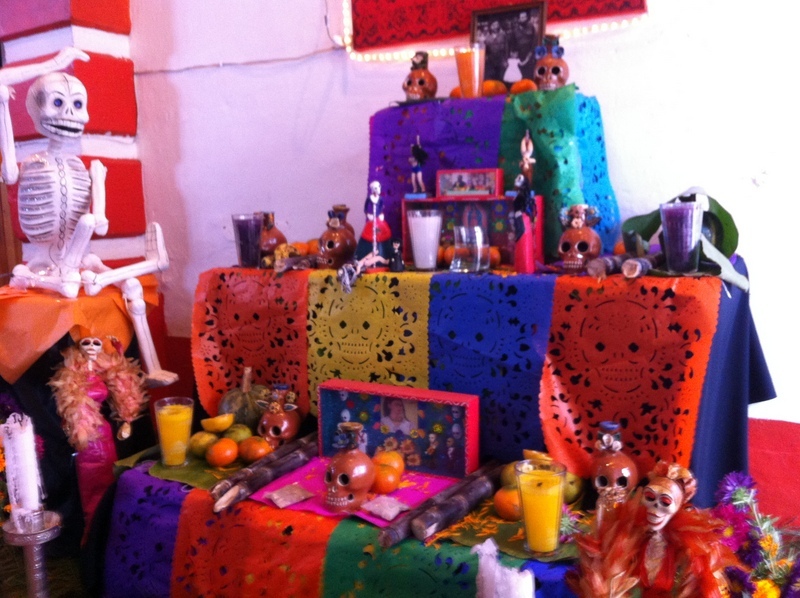 We pass dozens of churches, all are decorated with streamers and garlands of mustard and orange colored mums; the Day of the Dead when the Mexicans spend the night in the cemeteries, eating, drinking, and listening to live music to accompany their loved ones who have passed on, is fast approaching. 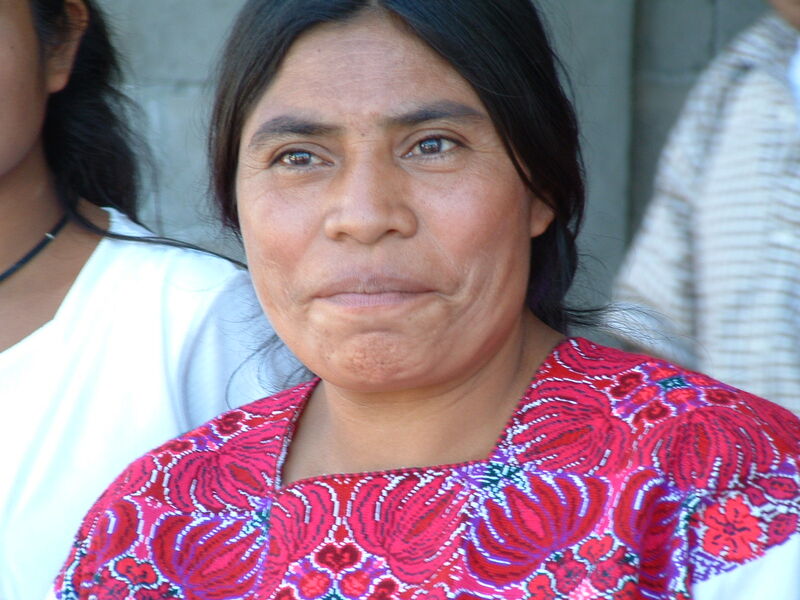 Occasionally we pass an indigenous woman wearing a beautiful embroidered huipil ( blouse) that proudly identifies her ethnicity, sitting in front of a modest house weaving in the front yard. Children play; dogs with their ribs protruding run behind them. 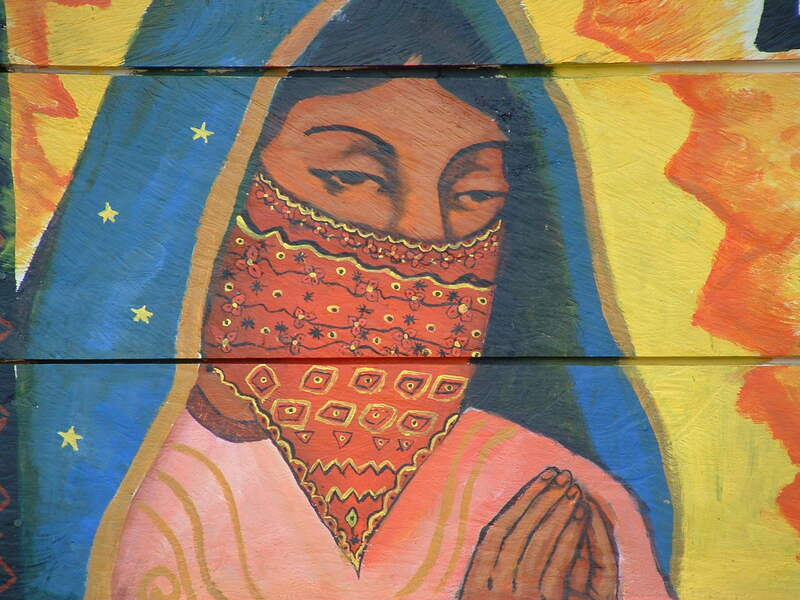 We pass through some of the Zapatista Autonomous Communities where the Good Government Boards make decisions for the community: health care, education, law; all is in the hands of the indigenous communities in these parts. Government projects are not accepted as they are seen as tools to co-opt an already oppressed group of citizenry. We pass through the towns, with the brightly painted revolutionary murals and slogans, “Everything for everyone, nothing for us”. I’m eager to get to my destination. In the five years that I have been visiting Simojovel, I was always leading a delegation of Equal Exchange or food co-op staff, and because I was organizing the visit and translating, I never had a chance to write down the profoundly moving and heart-aching stories we were told. I feel I owe it to CIRSA to put their story on paper. I hope one day to translate it into Spanish and offer it as a gift to them. In between the driver’s musings, and his shameless flirtations, my mind drifts back to previous visits to CIRSA. One of the strongest memories I have, and probably the one that will forever tie me to them, was the day we got together – the entire seven member board – Filiberto, the coordinator, the group of delegates and myself, to hear the story of the organization’s birth and evolution. In a small, darkened room, one of the members was noisily roasting batches of coffee that CIRSA would package and sell into the local market in a small drum roaster behind us. One by one, each board member (and CIRSA founder) told a part of their story: what life had been like before they won (back) their land, why they had organized, the oppression they endured as a result, and finally their modest, but notable successes and achievements. The delegation members sat in front, notebooks open and cameras ready. During this particular meeting, which started as so many other co-op meetings do, the conversation took an unexpected turn. Inadvertently, our group had arrived on the anniversary of a particularly painful event in CIRSA’s history when some had lost their lives and others imprisoned simply for asking for better working conditions. 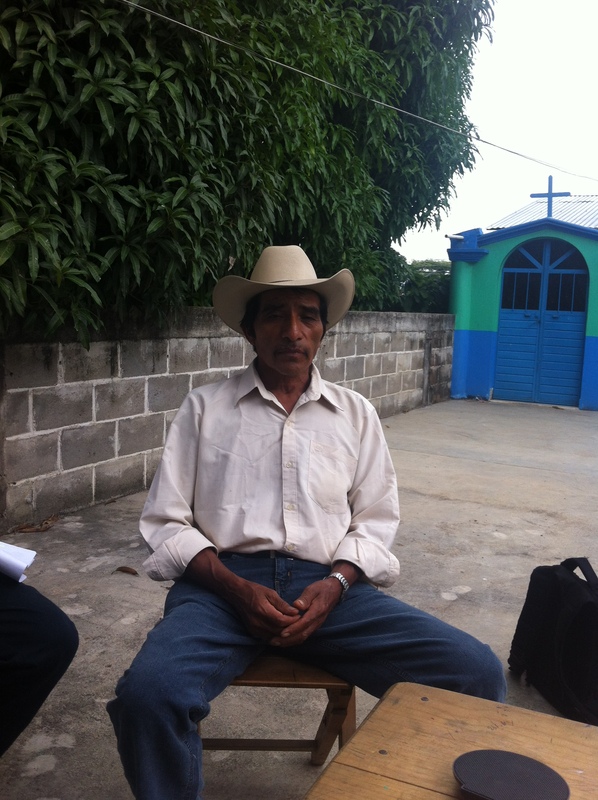 Diego Perez Lopez, began to tell his story. He spoke in short sentences so that I could translate. But before he could finish his story, in the middle of a sentence, he broke down crying. Of course, I did the same. Within moments, the entire delegation was also crying. We hadn’t yet heard the full story but the pain on his face was more than we could bear. The next member of the Board broke in, you’ll have to excuse Don Diego, there has been a lot of suffering. 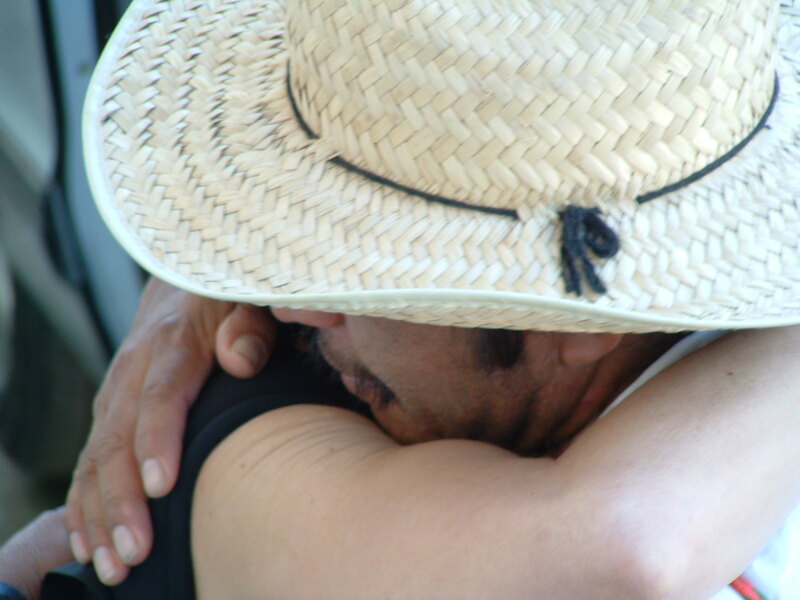 But as, Pedro Lopez Ruiz continued the story, he too broke into tears. The board members, all now in their 40s, 50s, and 60s, were deeply emotional. Our hearts were heavy. After several starts and stops, we decided not to pursue the story at that moment. The whole week continued just like that. My second memory was of a time we visited one of the communities. Packed into the back of a pick-up truck, we were driven three or so hours into the mountains from the CIRSA office in Simojovel. We arrived at dusk. The entire community was waiting for us in the church at the top of the hill. 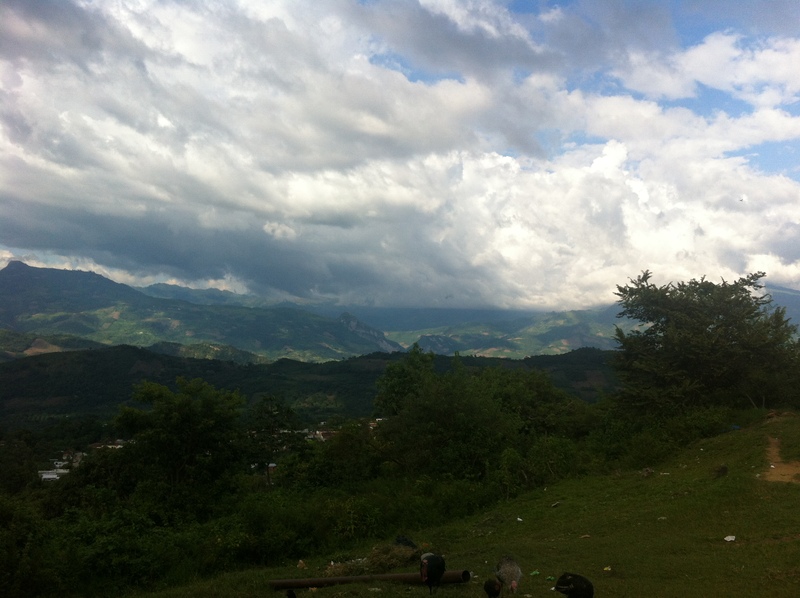 I remember looking down the mountain and seeing the lights of some of the villages and towns starting to glimmer. Outside the church, a group of men was getting ready to kill a cow; in our honor there would be a feast that night. As we followed the Board members into the church, the smell of incense was strong. We were led to the front two pews. Then after the service, which was conducted in Tzotzil, one at a time, they called the town elders to come to the front of the church and tell us, the distinguished guests, the history of this community. I’m so sad to this day that we didn’t record those stories. 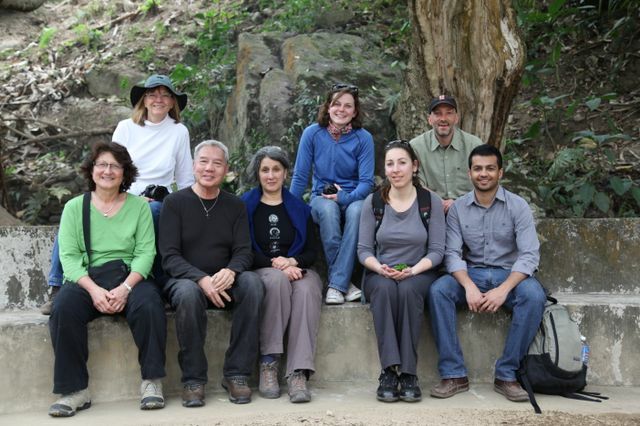 They were presented to us in Tzotzil, translated into Spanish, and then I translated them into English for the group. Once again, the tales of government oppression, army repression, endurance, organizing, imprisonment, assassination, and then out of all this… acquiring land and slowly organizing a co-op, learning about the market, beginning to export to Germany and then to Equal Exchange in the U.S. They then asked one man to come forward. They told us how the plantation owner had sent men to his house when he was just five years old. His father opened the door and in front of him, two men shot and killed his father. Apparently he had been organizing farmers to go to the state capital to demand better treatment on the plantation. All-in-all, it was kind of a surreal evening. We left the church and were each given a delicious plate of beef and a cup of hot coffee. Even the vegetarians amongst us ate the meat that night. We were later shown to the houses of some of the farmers in the community where in my case, the farmer and his wife gave up their bed and offered it to myself and two others on the trip. They slept on a straw met on the floor next to our bed. And finally, I’d like to share a lighter memory. The first time I visited CIRSA, we naturally took endless numbers of photos: the women in their colorful huipiles, the men in their cowboy boots and straw hats, farmers carrying 100 pound sacks of coffee on their shoulders, etc. But what gave me no end of pleasure was during our second and third years visiting CIRSA, they turned the tables. As we “helped” them pick the bright, red coffee cherries from the bushes, this time, it was the CIRSA extension workers and board members who snapped our photos. 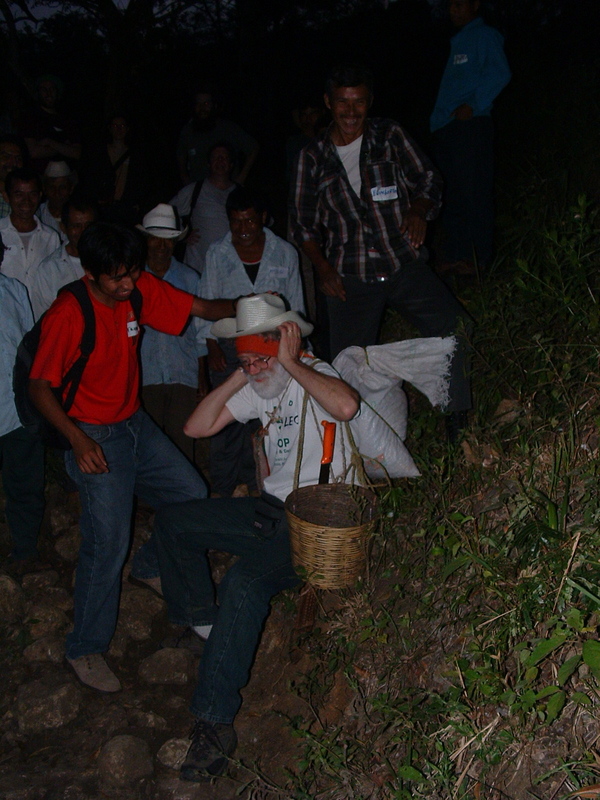 When members of the group wanted to try their hand at carrying a 100 pound sack of coffee down the mountain on their backs, the CIRSA folks laughed with delight (and some concern) as we staggered under the weight, took a few short steps, and gave up. This time they had it all down on video cameras. I loved watching their faces as they laughed and pointed to us… take a photo of that one; ha, make sure you get that one! 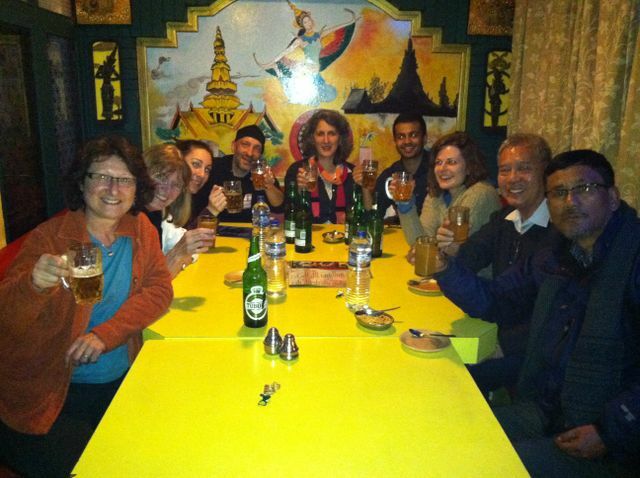 Ahh finally, the tables are turned and we can take photos and laugh good-naturedly at each other, recognizing of course that we all play an important role in this business of Authentic Fair Trade. The central plaza of San Cristobal was exploding with life when I arrived late Sunday evening. Exhausted from a long day of travel, I was ready for a hot shower, good food, and sleep. But I couldn’t resist wandering for a few hours around the main streets before turning in. I’d heard that Chiapas had suffered a tremendous decline in tourism these past few years, but you’d never know it to stroll down the pedestrian walkway, Real de Guadelupe. Musicians, dancers, fire throwers, and jugglers lined the streets: entertainment on virtually every corner. Artists selling silver jewelry, filled with amber, turquoise, and jade hovered near the musicians; they offered their crafts to the tourists who stopped to listen and snap photos. The restaurants, cafes and bars that lined the streets each featured their own live music as well, so at any one moment African drumming on the street was competing with trios from Veracruz, Cuban style troubadours, melancholic sax players, Mexican rock, and even 1970s disco music. Pulsating with life, it was a bit over the top. 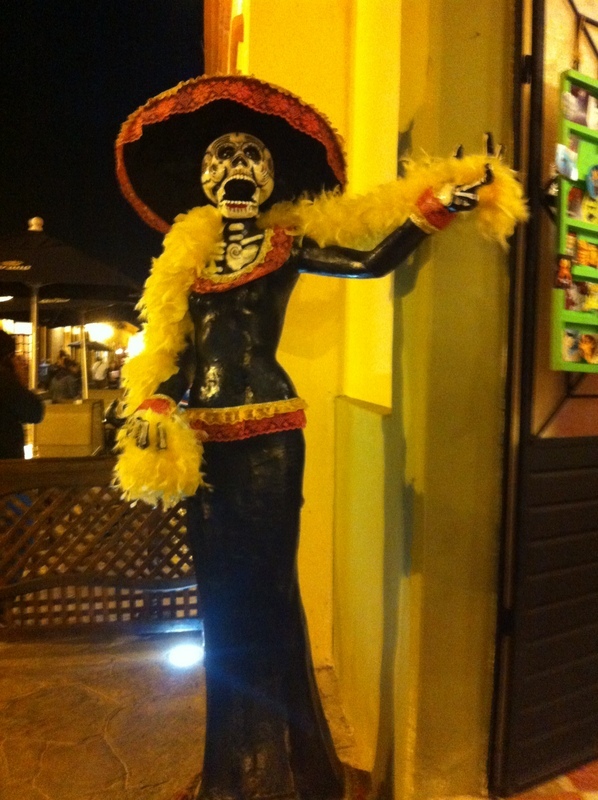 All Saints Day was approaching and colored paper cut-outs of skeletons and Catrinas lined the streets and storefronts. 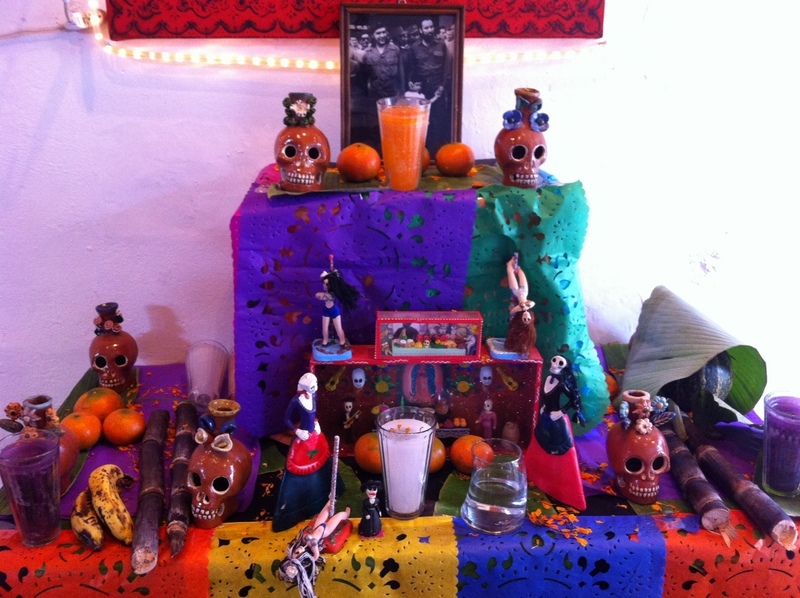 Altars were set up in restaurant and store entryways with flowers, candles, and skeletons dressed up in comical finery. Street performers acted out scenes of Mexican revolutionary history and current resistance movements. 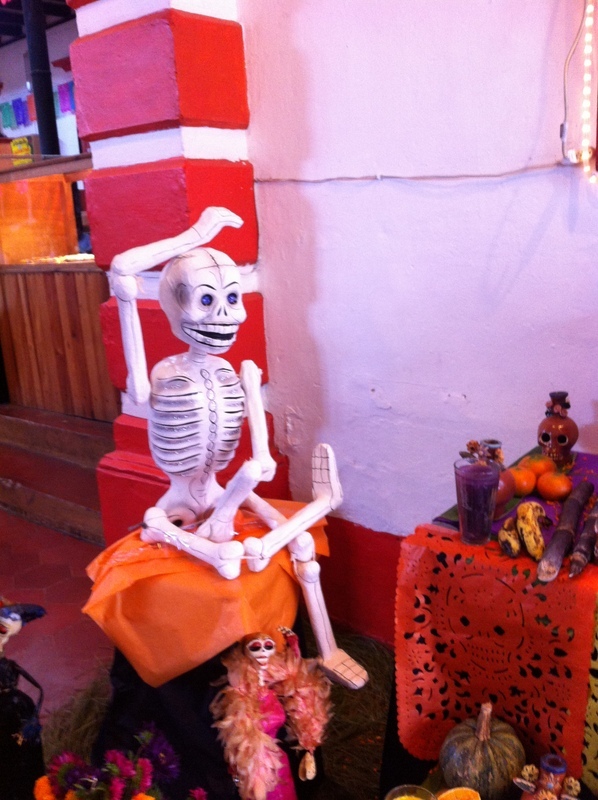 A man played the flute while his partner directed a skeleton marionette to dance to his music. In between the restaurants and bars, small, independent coffee roasters offered up cappuccinos, all from local co-operatives, organic and Fair Trade. The sounds of coffee roasters clashed with the musicians. The smells of freshly roasted coffee and incense hung in the air. It was an exciting way to start off my week, but tourism wasn’t why I was here. It’s been five years since I’ve visited the Indigenous Communities of the Simojovel de Allende Region (CIRSA) co-op and I’ve sorely missed spending time with them. For five years, I’d managed to visit them annually. Equal Exchange works with roughly 28 coffee co-ops throughout Latin America, Africa and Asia and I have been to many of them. But of all these groups, the coffee producers of CIRSA are among my favorite. I wanted to know how they have been faring and I wanted to write down the story of their co-op; to pass it on to others. 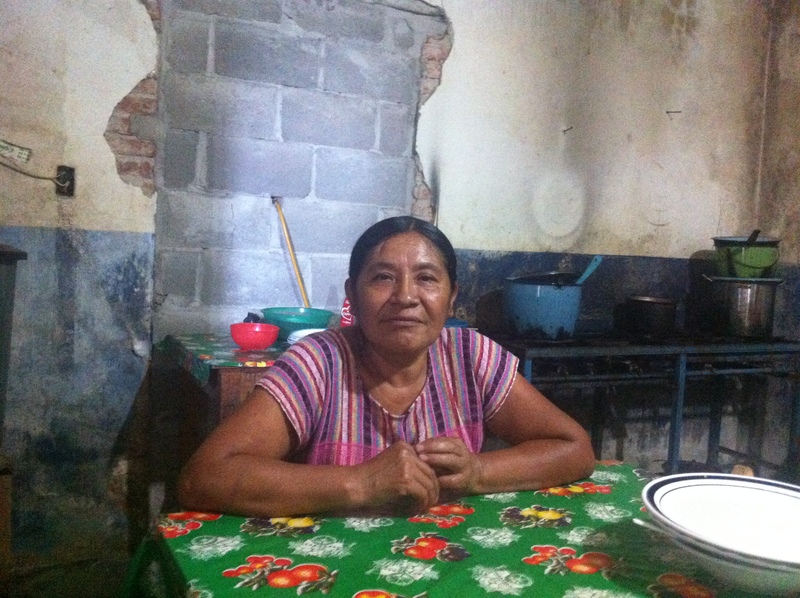 At Equal Exchange, we believe it’s important to share the faces & stories behind our coffee. Sometimes that means introducing the consumer to a specific producer, telling that person’s tale. Sometimes it means tracing the trail, from bean to cup, or bean to bar, in the case of chocolate. All of these narratives need to be told. Sadly, for those of us who are so far removed from the source of our food, any story about a producer can open our eyes; the accounting of how our food arrives at our kitchen table is informative and significant. But to me, it’s so important – critical – to delve even deeper. The products we eat and drink are our well-being and life-source. But trade is also a means to an end. The accounts of how people have struggled and survived, are making it work and improving their lives and communities, and still continue to struggle; to me this is the heart of fair trade and why we are here. This is the place where we shed tears, share laughter, open our hearts, and remember our humanity. Because the story of each co-op, the members’ efforts to earn livelihoods, provide us with our sustenance, care for their environment; this is also our story – it shows us how we are interlinked with each other. If we don’t know, we can’t care; and if we don’t care, we deprive ourselves of our human connections, deny our responsibilities in owning what happens to each other. In a sense it is the only way we can stand up to political and economic systems that threaten to steamroll over all that’s precious in our fragile world. The story of CIRSA is, sadly, the story of so many small farmers. The producers’ parents, grandparents and ancestors, were virtually enslaved on large plantations often owned by foreigners. Treated worse than animals, they worked seven days a week, were beaten when they stopped to rest or take a drink. If a producer stopped to sharpen his machete, the foreman would give him his own – all to keep them working without a break. Their wives were considered property of the landowner and his sons. At any moment, the landowner could send for someone’s wife or daughter and the families could do nothing to protest. If they were caught growing crops to feed their families, their pay was discounted for cheating the landowner. Health care and education were non-existent. It’s a long story of struggle, and each time I’ve had the privilege to hear the founding members of CIRSA recount parts of this tale, it has always been accompanied by tears as they remember all the injustices that they and their ancestors have been through. Attempts to secure their rights, afforded in the Mexican constitution, were repeatedly made through pacific means. The landowners responded with violence. 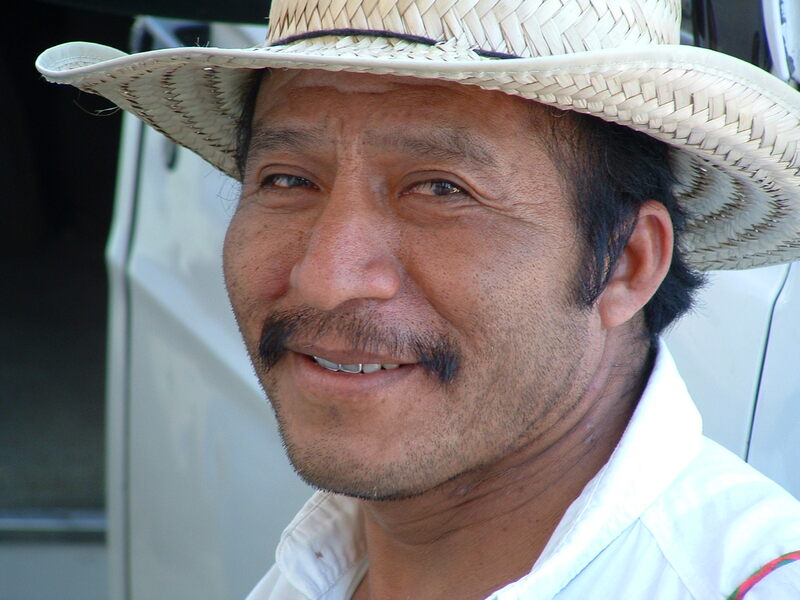 Many farmers were jailed, disappeared and assassinated. Eventually, after many decades of struggle, the land which had once belonged to their ancestors, was returned to them – for a price. 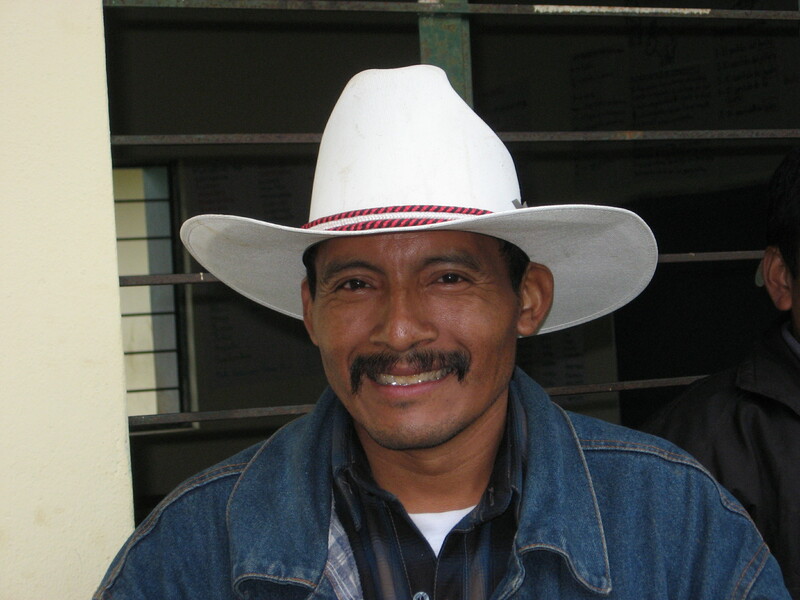 The farmers then formed co-operatives and tried to sell their coffee, once again to be denied access to loans and technical assistance by the government and to be cheated and taken advantage of by the multi-national coffee companies doing business in Chiapas. It’s a long story which I hope to share in time. In the meantime, over the next few days, I’ll give you some of the highlights from the three or so days I spent in Simojovel with Filiberto Mazariegos Roblero, Bartolo Perez Lopez, Andres Diaz Diaz, Juan Carlos Perez Perez, and Victor Hugo Garcia Lopez. Last spring, Equal Exchange was honored to host a visit from Santiago Paz, long time friend, trading partner, and co-manager of the Fair Trade coffee co-operative, CEPICAFE in northern Peru. 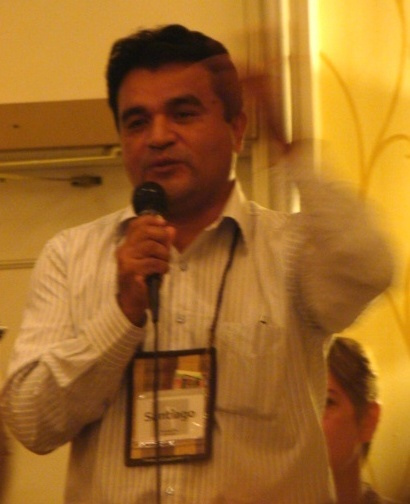 Santiago was on the West Coast and did a number of speaking engagements with community groups and natural foods stores. The following is an excerpt from a talk Santiago gave at Marlene’s Natural Foods Market in Washington. You can read the original article in the October 12th issue of Sound Outlook. My name is Santiago Paz. I work as co-manager of CEPICAFE –an organization comprised of small producers of coffee, cocoa beans, sugar and fruit juices located in Piura, in the northern part of Peru near the Ecuadorian border. CEPICAFE is composed of 7,000 small producers. The fair trade market opened the doors to the international market for CEPICAFE. Take the case of coffee as an example. We started with eight tons the first year. Today, CEPICAFE sells about 2,000 tons in the international market annually, which represents significant progress. The other product that we’re working with is sugar; that is, panela (brown sugar formed into solid shapes). Previously, those who were producing panela, and those who were producing alcohol from the sugar lived in extreme poverty. It was common for them to spend the whole day drinking. In most cases these producers never went to school. Today, through years of building fair trade cooperatives, these people have become exporting producers of organic products, quality products, fair trade products. The price for their product has gone from three dollars to 40 dollars for 100 pounds of sugar. These producers have a different view of life – they have been trained to produce quality goods, which makes them happy and proud. 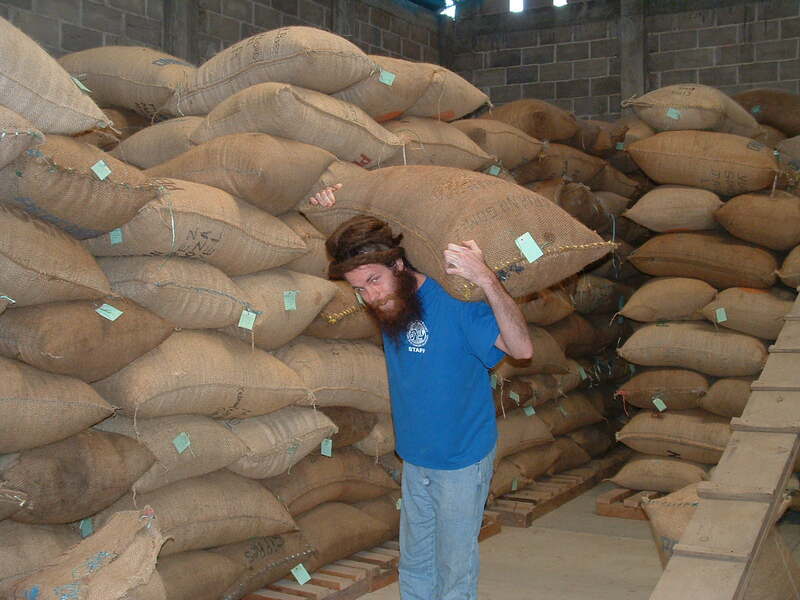 At CEPICAFE, we believe in small fair trade production but we can’t function on an island. We’re part of the world market and globalization. In fact, that furthers our commitment to strong, sustainable organizations that are competitive in the modern, international market and the associated organizations and agencies that support and regulate it. Read More here. October is co-operative month and 2012 has been designated International Year of the Co-operative by the U.N. The following article was written for the Fair World Project’s Fall 2012 Issue. The United Nations has declared 2012 the International Year of the Co-operative “highlighting the contribution of cooperatives to socio-economic development, particularly their impact on poverty reduction, employment generation and social integration.” At a time when national economies are failing, corporate influence is becoming more concentrated, and workers are losing economic and political power, what better moment to uphold the co-operative values of self-help, democracy, equality, equity and solidarity? The contribution of co-operatives couldn’t be more evident – and their involvement more critical – than the role they’ve played in Fair Trade. 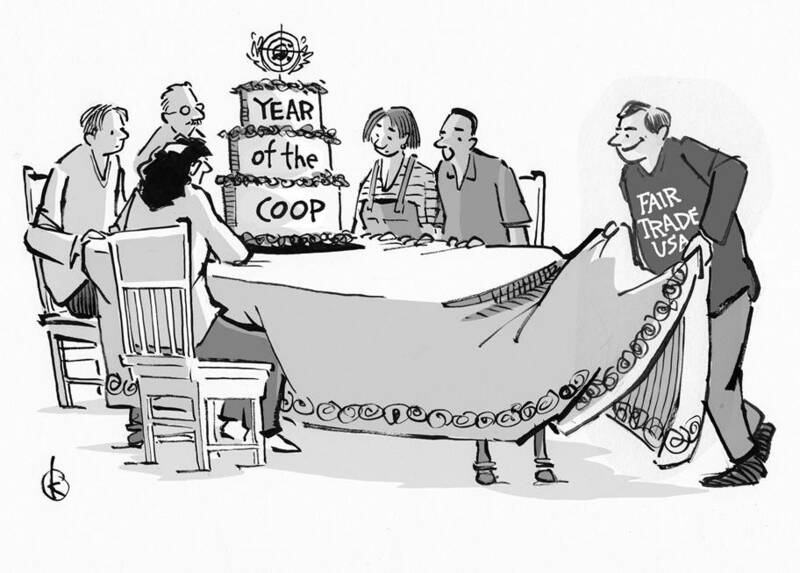 Small farmer co-operatives in the Global South, and worker-owned and consumer co-operatives in the North, have been three invaluable links in a co-operative supply chain that has helped shape and build an empowering and activist model of trade that supports small farmers, democratic organizations, and engaged consumers.